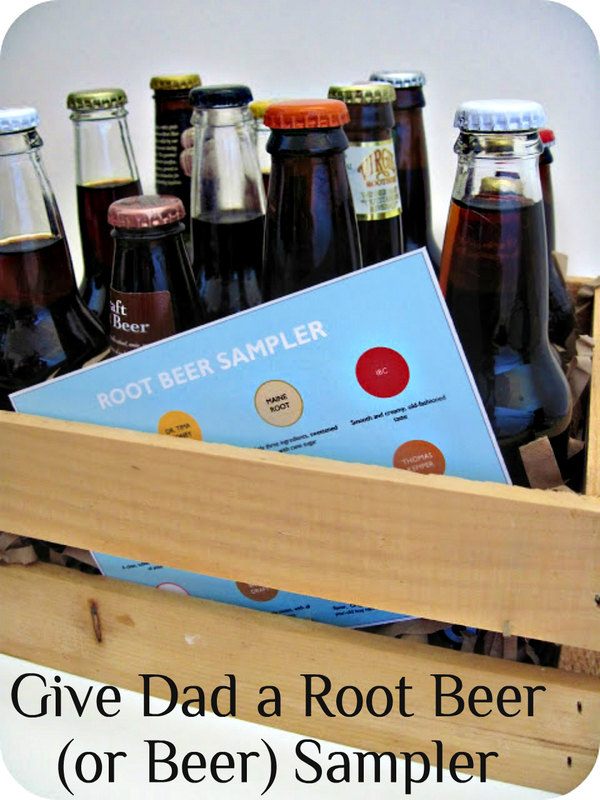 Poppy Juice: 22 Very Cool Father's Day Gifts You Can Make! 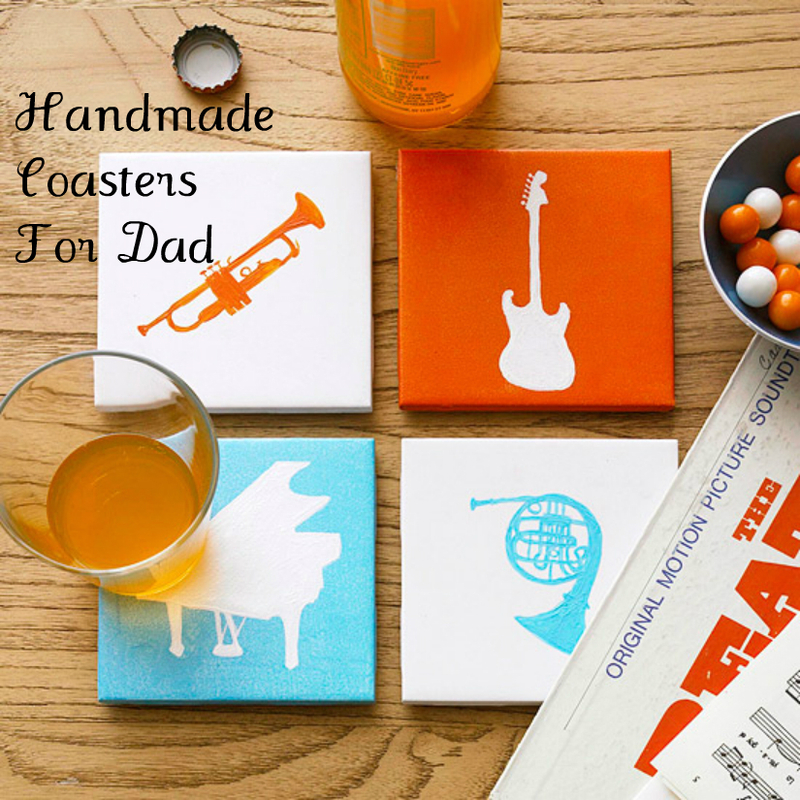 22 Very Cool Father's Day Gifts You Can Make! 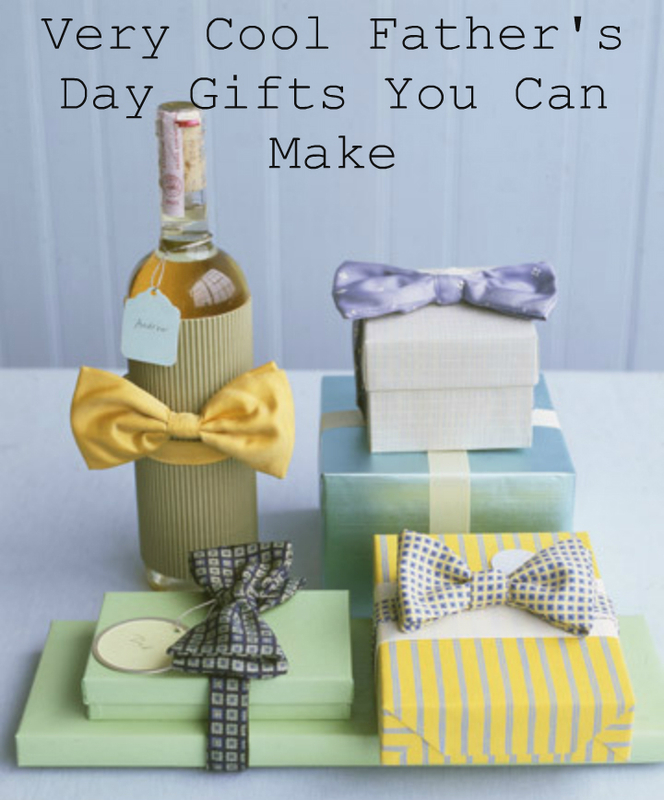 See Martha Stewart for this clever gift wrap idea! 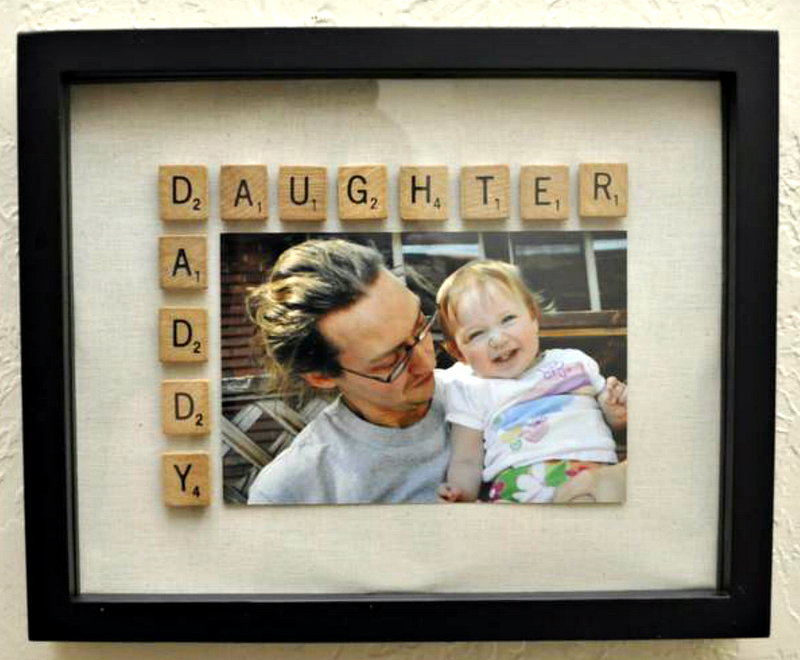 It can be a struggle to come up with a great Father's Day gift, right? We've put together a compilation of awesome handmade gift﻿ ideas, as well as ideas for purchased gifts for every budget. Pick one or combine several ideas to make his day the best! 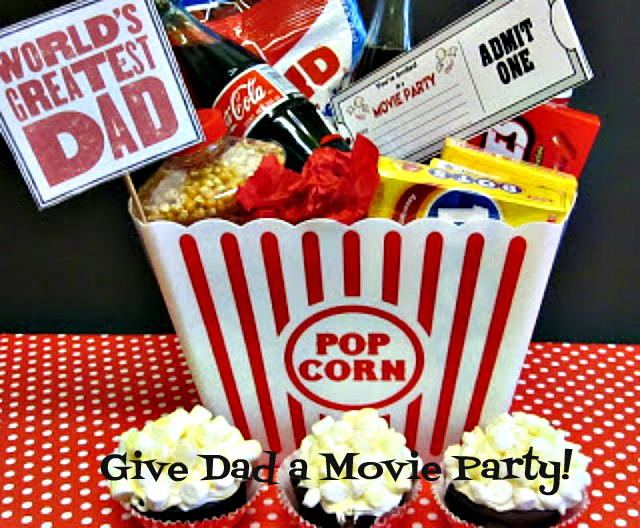 homespunwithlove has the most adorable idea for a movie party gift for Dad! Excellent idea! Courtesy of homemade by jill. 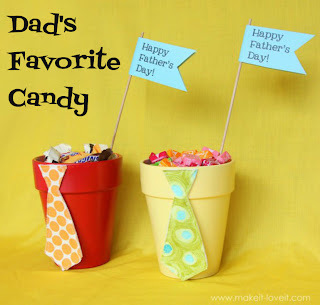 These pots of candy are so cute and easy to make! See the process at makeit-loveit.com. 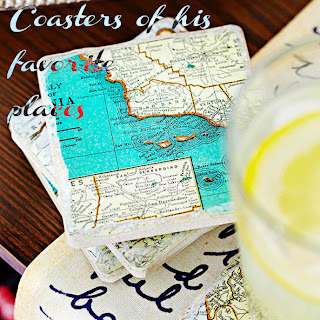 Love this idea from bhg! 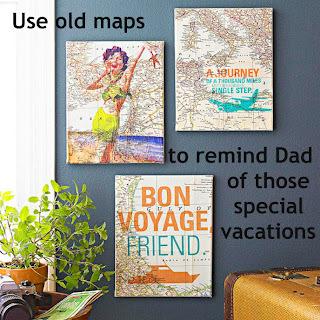 Perfect for the traveling Dad! 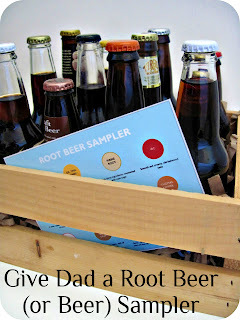 Yet another wonderful idea from bhg! 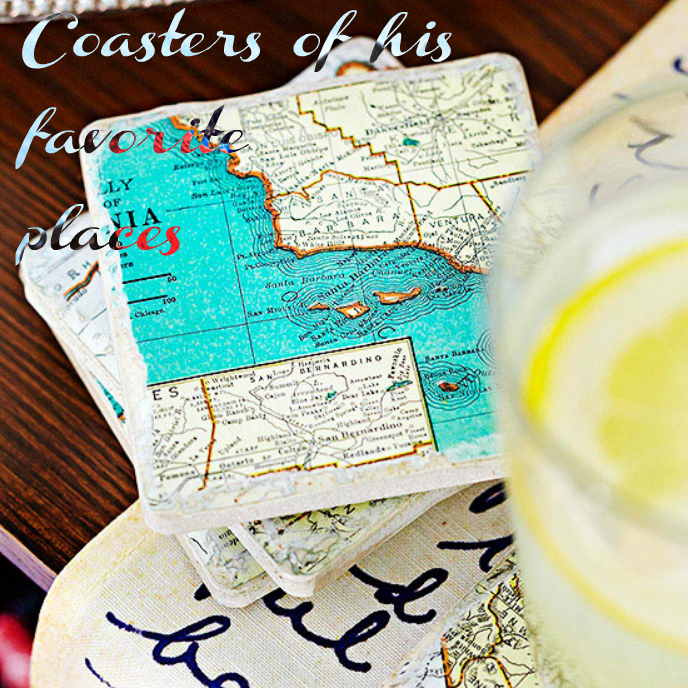 Check out Dexter Patch to learn how to make these sweet paper weights! Make Dad his own koozie! Instructions are at strictly-homemade. Another great idea from bhg! 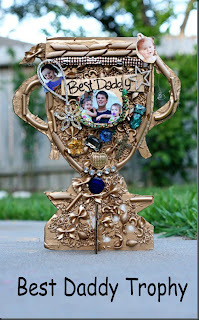 Your kids will have a blast making this Best Daddy Trophy! Visit Smart Class to learn how. Visit Better Homes and Gardens to learn how to make a nifty tie photo album and fill it with snapshots of special times! 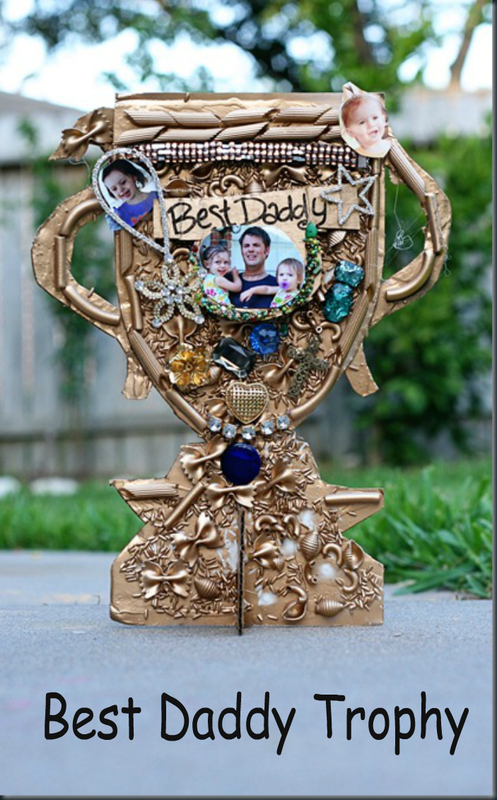 This is such a clever way to display your child's artwork or special photo. 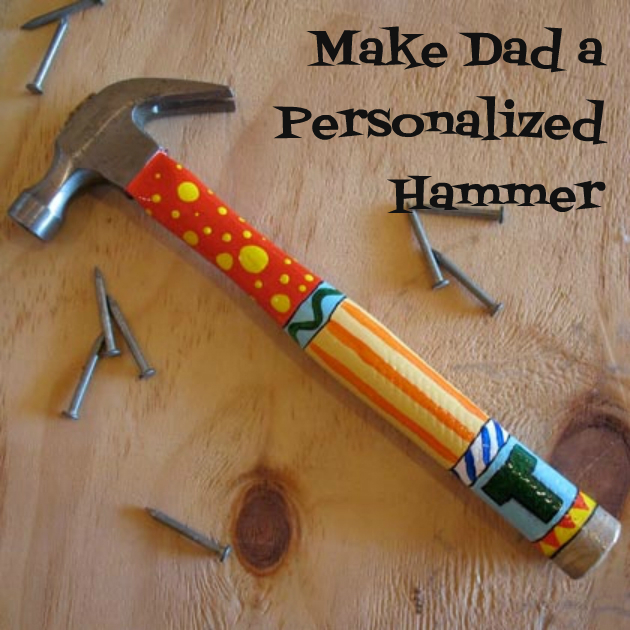 Find out how to make one at something created everyday. 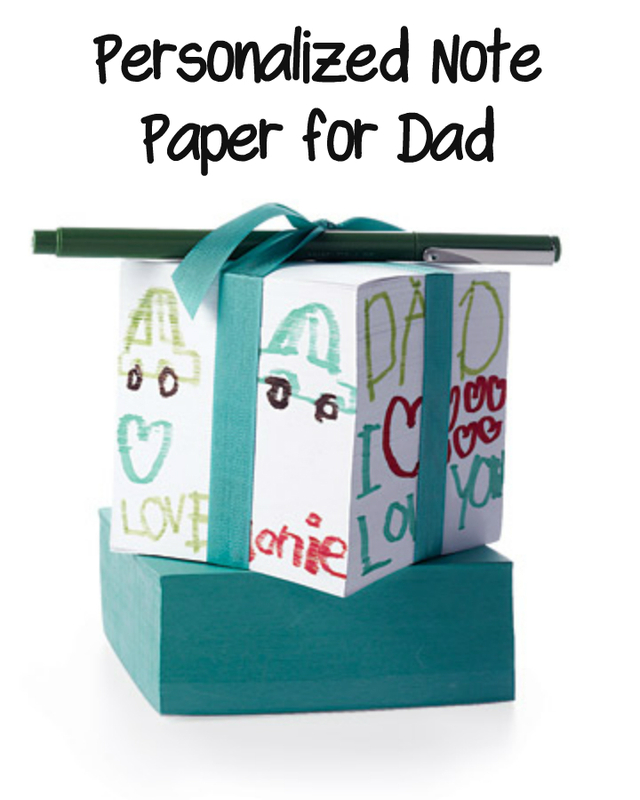 Make this fun spin on a card to let Dad know that he rules! 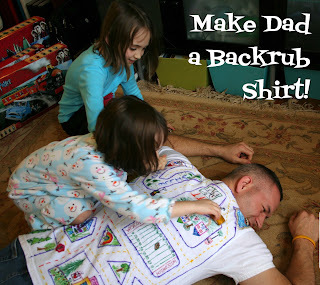 Learn how at spoonful.com. 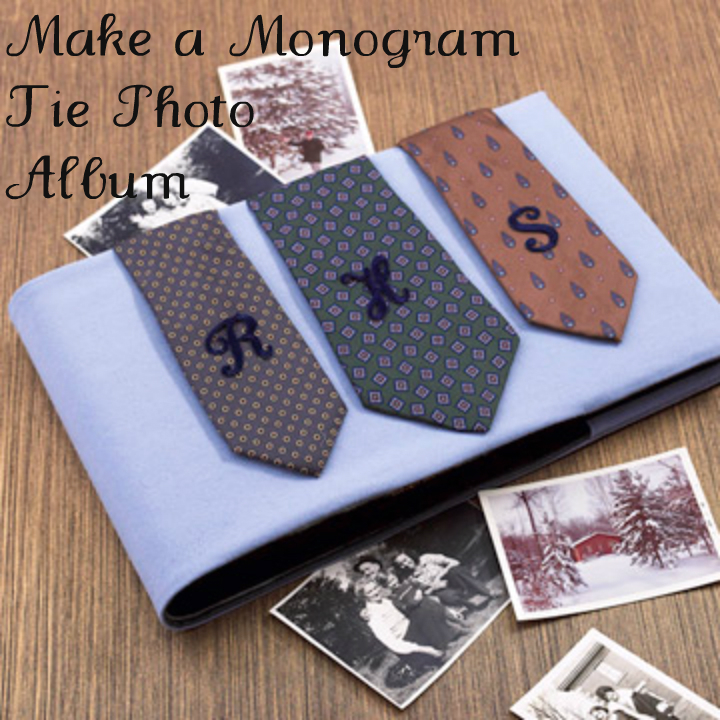 This idea is my personal favorite and I think it would make a great gift for anyone! You can learn how to make this backrub shirt at pink and green mama. 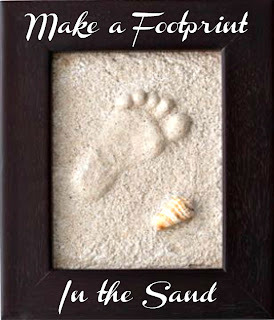 I love this clever spin on the usual hand or footprint impression! See the how to at pressions. 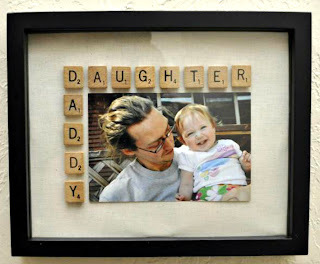 laurendahl.com has the perfect gift for a crossword or Scrabble loving dad with a daughter! 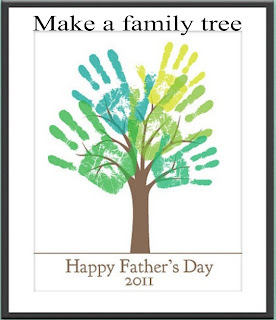 You can purchase this printable on Etsy and add your children's handprints but I'll bet with a little playing around, you can create your very own tree on your computer or using brown paper to create the tree. 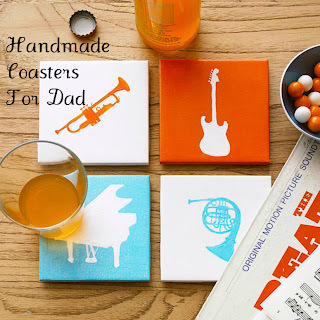 For the non-crafty types or if you just don't feel like making anything there are always purchased gifts that Dad can appreciate. Here are some ideas for every budget. Park Lane Silver Tone DAD Keychain Watch PLKR25 This beautiful keychain with a watch is a practical but charming gift that Dad will be happy to carry his keys on. Only $19.95 plus a small shipping cost. Fathers Day Gifts Bling Jewelry Stainless Steel Black Enamel Geometric Mens Dad Ring Retails for $41.99 on sale for $19.99! Cuba Variety By Cuba For Men. Set-4 Piece Variety Cologne With Cuba Gold, Blue, Red & Orange & All Are 1.17 Ounces I was a little skeptical of this gift because of the low price of $12.09 but the reviews are rave for the fragrances. The packaging is cool and the bottles really look like cigars! 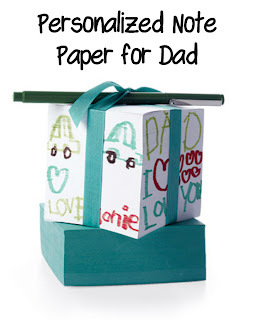 A unique and inexpensive gift that is sure to put a smile on his face. 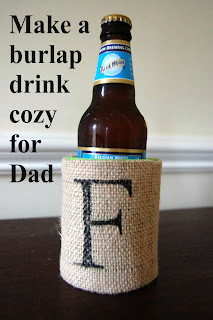 Travel Mug Dad - Awesome Dad, You Rock, Dad Is the Man! 12 Oz. Gift Boxed Really awesome looking travel mug designed to remind Dad how great he is! Only $11.59! Personalized Engraved Silver Plated Plectrum, Guitar Pick - Shipped from England - Fathers Day, Wedding My hubby is a musician so naturally I think this is an incredible gift. 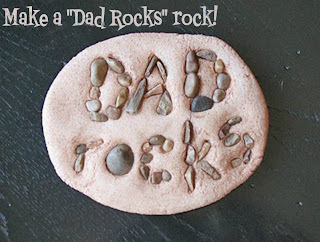 At only $19.95 this personalized silver plated guitar pick is a very sweet gift for the musician dad. Personalized Ice Black Gun Metal Stainless Steel Business Card Holder - Free Engraving Oh so sophisticated looking, this stainless steel business card holder will be a great gift for your businessman Dad! With a price of just $9.43 (plus shipping of $4.99) and five star reviews, you can't go wrong with this gift. Logitech Wireless Touch Keyboard K400 with Built-In Multi-Touch Touchpad (920-003070) Totally sleek and only $34.99 plus free shipping. 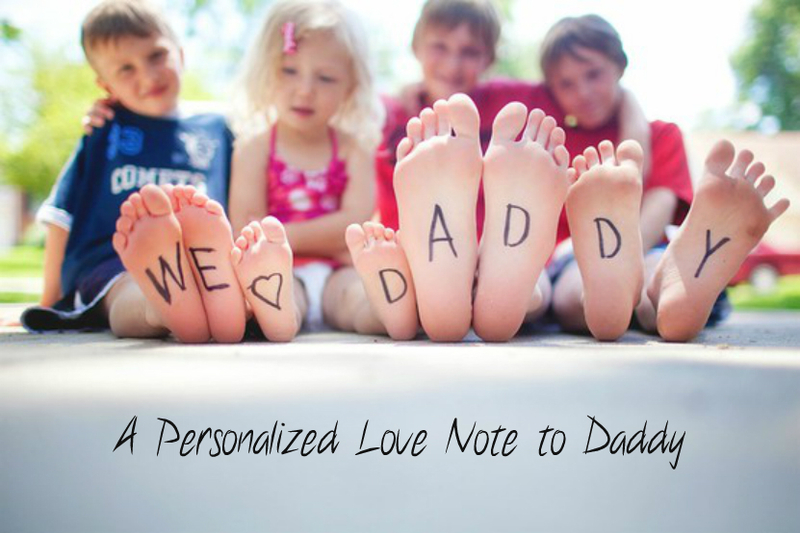 On the most wished for list for dads in electronics! If your guy is into his computer, you can't go wrong with this sophisticated, smaller than average keyboard. Can be used with television and more. This product has received almost 1,000 Five Star Ratings so far! Cuisinart CGS-5014 14-Piece Deluxe Stainless-Steel Grill Set For just $36.74 plus free shipping this sleek grill set is a steal! It has a five star rating and comes in a really manly stainless steel case. If your man loves to grill, this expensive looking set is sure to put a big smile on his face. 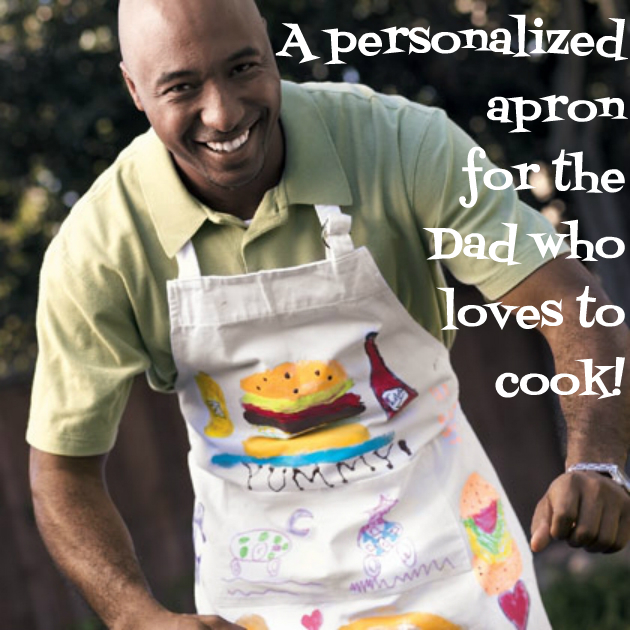 Just think of all the awesome food he grills for you! He'll love cooking for you even more than he already does! Remington MB4040 Lithium Ion Powered Men's Rechargeable Mustache and Beard Trimmer Excellent quality (this trimmer has 175 five star ratings) and a low price of $34.99 plus free shipping makes this a perfect choice to help keep Dad's mustache and beard as handsome as he is! JBL Micro II Ultra-Portable Multimedia Speaker (Black) Great JBL sound for his mp3 player at a low price of $39.95 plus free shipping! This mini speaker can also be daisy chained to additonal speakers to add to the sound volume. 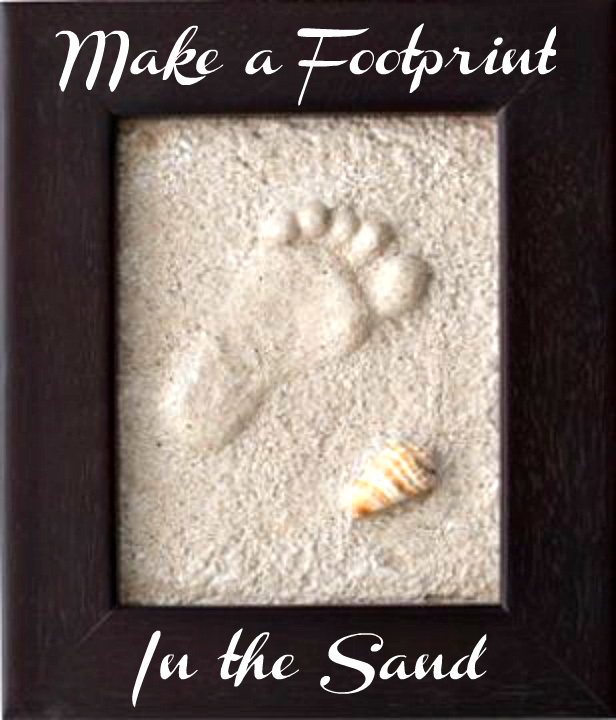 Perfect for car, desktop or beach! RoadPro 12-Volt Heated Massaging Back Seat Cushion If your husband or father has a long commute and back pain, this massaging back cushion with heat would be a thoughtful gift that he'll appreciate getting! It has great reviews and is reasonably priced at just $59.99 plus free shipping. Memorex MKS-SS2 SingStand 2 Home Karaoke System If Dad loves to sing, you can't go wrong with this best selling karaoke system for only $69.97. Midland GXT1000VP4 36-Mile 50-Channel FRS/GMRS Two-Way Radio (Pair) (Black/Silver) Even though reviewers say the 36 mile distance is a bit of an exaggeration, these two way radios still recieved mostly 5 star ratings. 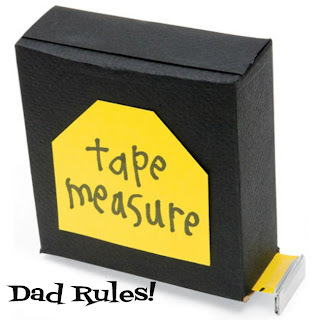 A great product for only $58.56! 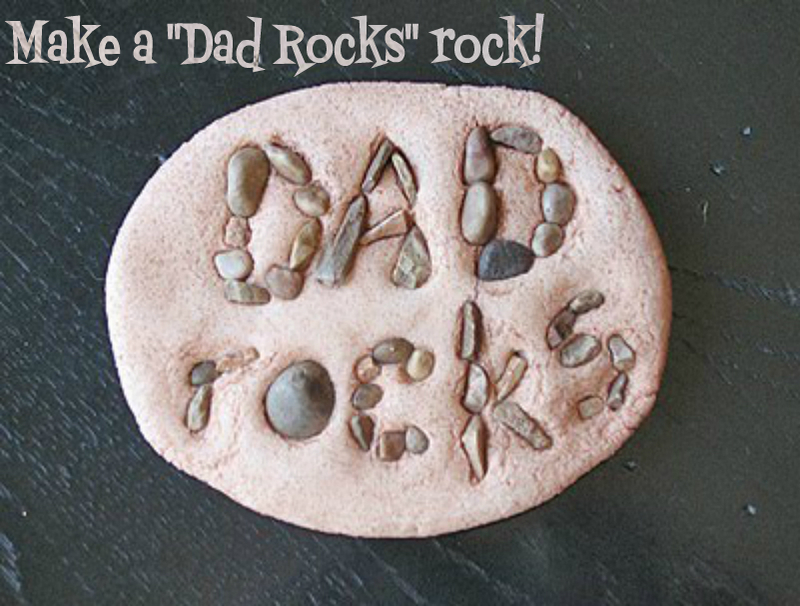 Your outdoorsman will love them! Celestron SkyMaster Giant 15x70 Binoculars with Tripod Adapter At just $60, these giant binoculars are of excellent quality. Perfect for low light gazing, hunting and birdwatching. Plantronics Voyager Legend Bluetooth Headset - Retail Packaging - Black On the most wished for electronics list for dads, this Bluetooth headset with Smart Sensor Technology has too many features to list. List price is $99.99 marked down to $82.79 PLUS free shipping. X Rocker II Video Gaming Chair , Wireless , Black If Dad is King of The Game, why not give him his own throne? This gaming chair allows Dad to feel the game. Priced at $123.70 plus free shipping. Bose SoundDock Series II 30-Pin iPod/iPhone Speaker Dock (Silver) Bose Sound (need we say more?) docking station for iPod or iPhone. This speaker dock also allows you to play an additional sound source such as a DVD, CD or other mp3 player. Only $199.99 plus free shipping. Perfect for Dad's desk or mancave! Humminbird 120 Fishin' Buddy 4-Inch Waterproof Fishfinder This fishing gps has excellent ratings and is priced at just $164.96 plus free shipping! Make your fisherman very happy this Father's Day! Samsung Chromebook (Wi-Fi, 11.6-Inch) It's easy to see why this little laptop is the second most wished for item in electronics. It works efficiently, is built to last and just looks cool! 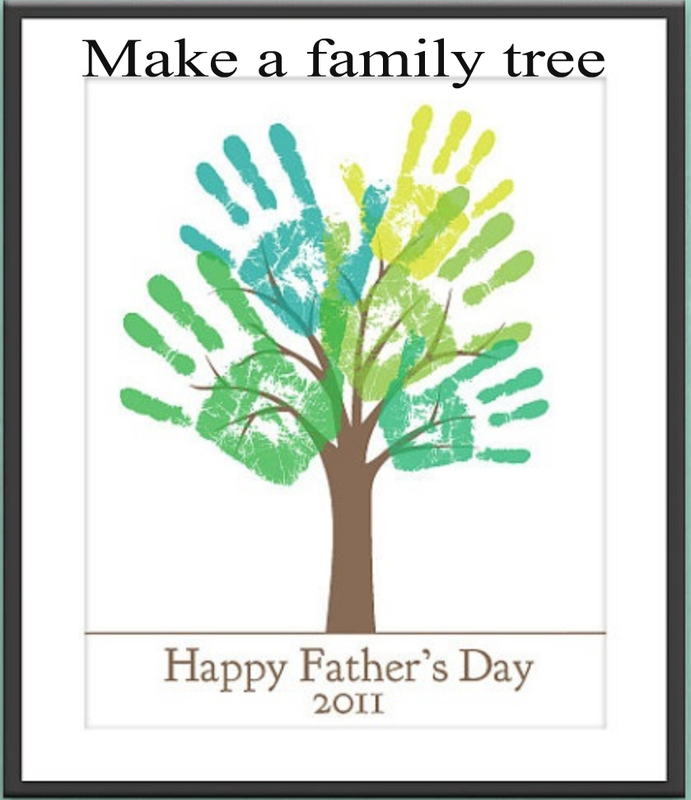 At $249 plus free shipping, this laptop is a perfect gift for Dad! Jawbone BIG JAMBOX Wireless Bluetooth Speaker - Graphite Hex - Retail Packaging This wireless speaker and speakerphone has a huge hi-fi sound that can fill any room or outdoor space. Compact and sleek, at $294.64 plus free shipping this Bluetooth speaker is top notch! 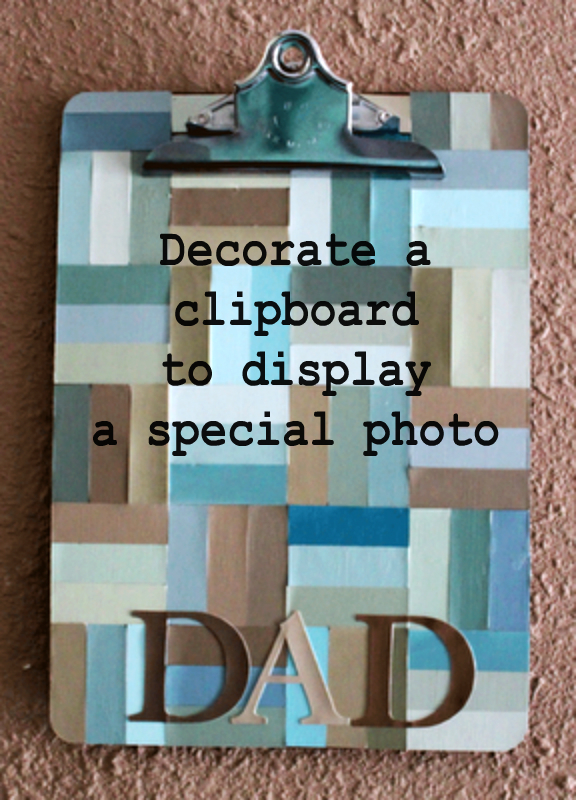 Hopefully we've given you some great ideas to make Father's Day extra special this year! If you liked this article, be sure to subscribe to receive great tips and tutorials in the future. It's easy, free and we never share or sell your information! 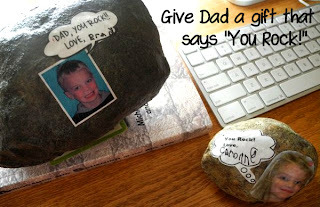 It is somehow very tricky to pick a gift for our dads. But one thing to note is that we must know what interests them. This will guide us in purchasing a present. Fathers appreciate personalised gifts as well. Nevertheless, this is a creative and informative post. Please keep sharing your thoughts soon.